Just Listed :: Charming Huntley Hills Traditional! Welcome home! Nestled in the popular Huntley Hills swim and tennis neighborhood, this home is just what you’ve been looking for. The flowing floor plan, custom features, and charming character will never go out of style. The close proximity to I-285, I-85, and Peachtree Industrial Boulevard makes it convenient to and from any direction. Being in this popular area inside of the perimeter also means you can enjoy many nearby restaurants and shopping spots! · Spacious kitchen features ample cabinet and counter space, tile backsplash, pantry, and breakfast area. · Living room open and filled with natural light. · Separate dining room is perfect for entertaining guests or casual meals at home. · Gleaming hardwood floors, plantation shutters, and crown molding are carried throughout the main level. · Master suite is a true retreat including generous closet space. · Updated hall bathroom features dual vanities. · Finished basement has large living area with built-in shelving, a spa-like bathroom with vessel sink and walk-in shower, and additional storage space. · Enjoy the private and wooded backyard from the large deck. 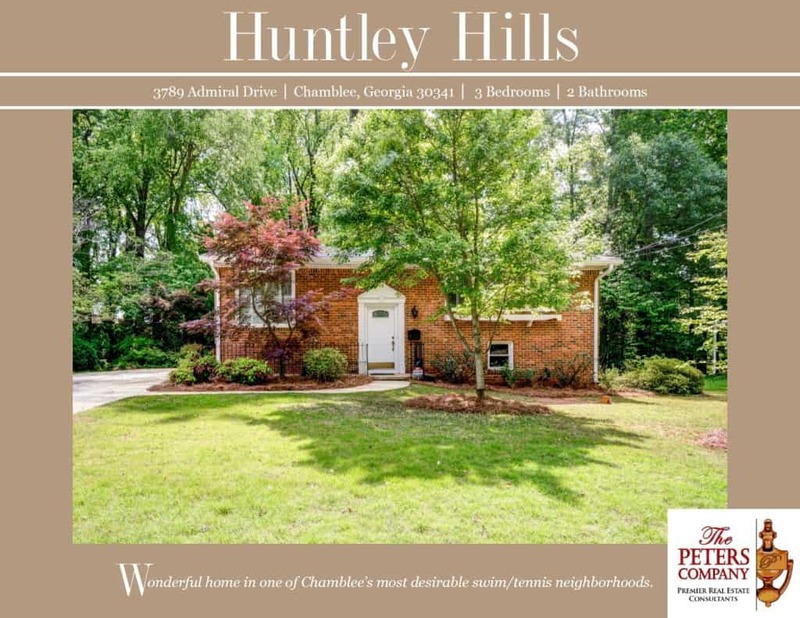 · Wonderful location convenient to interstates, shopping, and restaurants.